Brutal by Mandasue Heller - Reading Room - Craxme.com - Powered by Discuz! 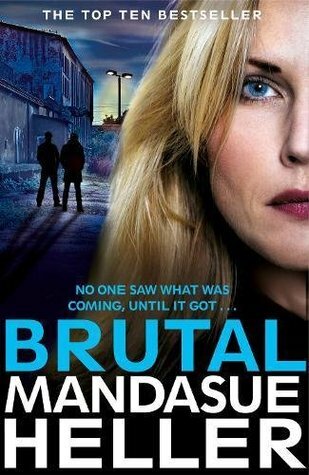 A bereaved husband is faced with adevastating choice in this gritty thriller from the top ten bestselling authorMandasue Heller. When Frank Peter’s wife Maureen dies, he feels that his once-idyllic life onthe Yorkshire Moors is over. And with a daughter emigrating to Australia and ason who has his own marital problems, Frank feels resigned to a life of loneliness.Then one night he finds a frightened young woman hiding at the back of hisfarmhouse. She explains that her name is Irena and was brought to this countryby a man who promised her the world and then forced her into prostitution. Frank offers her a bed for the night but it’s the middle ofwinter, and when heavy snowfall prevents her from leaving the next day, he’sforced to extend the invitation. But the longer Irena stays, the easier it getsfor the men she’s trying to escape from to find her. People-trafficking could just be the tip of the iceberg, and Frank has no ideawhat these people are really capable of.